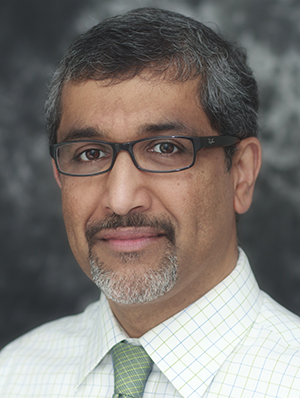 Shailey Prasad, MD, MPH, is executive director of the University of Minnesota Center for Global Health and Social Responsibility and Vice Chair for Education at the Department of Family Medicine and Community Health. He is actively involved with undergraduate, medical student, and residency education at the University of Minnesota North Memorial Family Medicine Residency and also works at the UMN Rural Health Research Center. He has extensive experience working with forest tribes and in rural areas of southern India and other parts of the world, advocating that health is critical to overall development of an area. Justesen K, Prasad S. On-demand pill protocol protects against HIV. J Fam Pract. 2016;65(8):556-8. Kozhimannil KB, Vogelsang CA, Haldeman RR, Prasad S. Disrupting the pathways of social determinants of health: doula support during pregnancy and childbirth. J Am Board Fam Med. 2016;29(3):308-17. Kozhimannil KB, Casey MM, Hung P, Han X, Prasad S, Moscovice IS. The rural obstetric workforce in US hospitals: challenges and opportunities. J Rural Health. 2015;31(4):365-72. Nelson SC, Prasad S, Hackman HW. Training providers on issues of race and racism improve health care equity. Pediatr Blood Cancer. 2015;62(5):915-7. Kozhimannil KB, Hung P, Prasad S, Casey M, McClellan M, Moscovice IS. Birth volume and the quality of obstetric care in rural hospitals. J Rural Health. 2014;30(4):335-43. McCullough JS, Casey M, Moscovice I, Prasad S. The effect of health information technology on quality in U.S. hospitals. Health Aff (Millwood). 2010;29(4):647-54.